HA NOI (VNS) — Nguyen Hoang Thien has entered the main round of the ITF Philippines F1 Men's Futures. 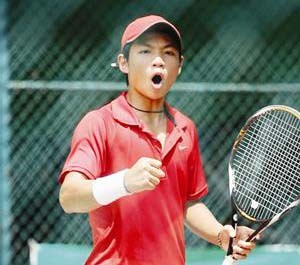 At the second qualifying round yesterday, the 19-year-old player defeated Leander Lazaro of the Philippines 2-0 (6-2, 6-1). Thien had beat Filipino Vernon Agnelli Huibonhoa 2-0 (6-0, 6-0) in the first round.